I am absolutely convinced deep water, wild, so-called Gourmet Seafood is superior to any other available seafood products. Deep, icy, clean waters host the most abundant and healthy seafood stocks in the world. These natural, (almost) pristine habitats host seafood with a lean, firm texture and superior flavor. Nice catch, Jeff! Blessed with wild seafood! 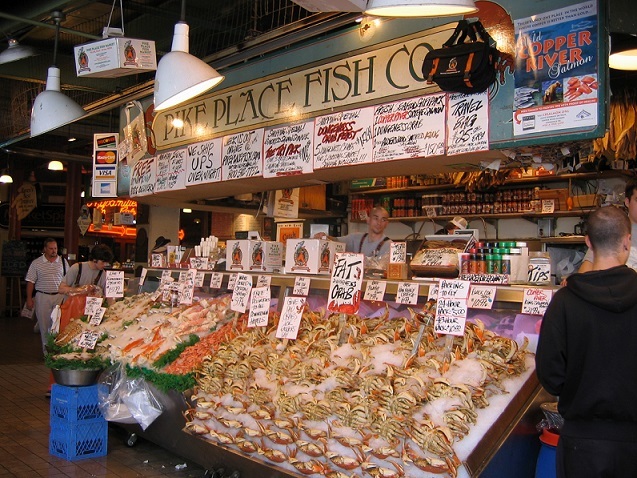 The quality of such seafood is also determined by what it does not contain. Such habitats are "nearly" pollution-free compared to many areas of the world. And there are a number of organizations (public and private) working to sustain those environments and the life they support. Wild seafood is additive-free and provides healthful, natural vitamins, minerals, nutrients and heart-healthy polyunsaturated fats. Wild-caught salmon, cod, halibut, sea bass, shellfish and more mature at a natural pace and have superior flavor and texture. 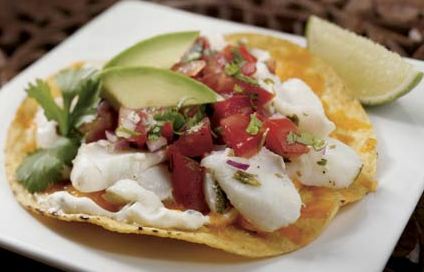 The flavor and color characteristics come from the seafood species feeding on their natural diets and the texture comes from annual migrations in the cold deep waters. If you are looking for a meal that is nutritious, low in saturated fat, and high in the good fats -- heart-healthy omega-3s, you can start with wild seafood. 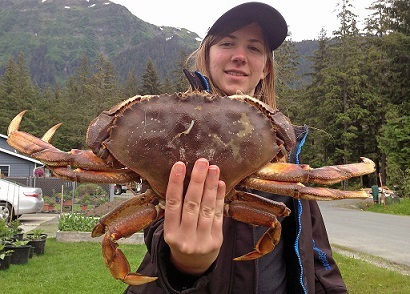 Of course, fresh wild seafood is not always available year round. In order to enjoy wild seafood it needs to be "fresh frozen" (flash frozen within an hour or two after being harvested) or carefully (naturally) smoked. 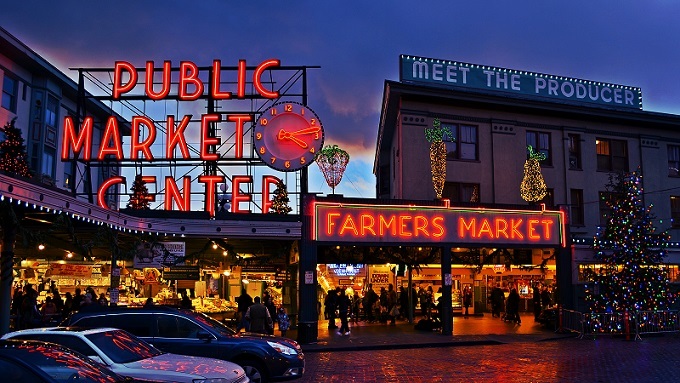 There are thousands of seafood markets in Washington State (and Oregon and California), but perhaps the most famous is located in Seattle's Pike Place Market. The products are wonderful! Just visiting is a treat and a real education. 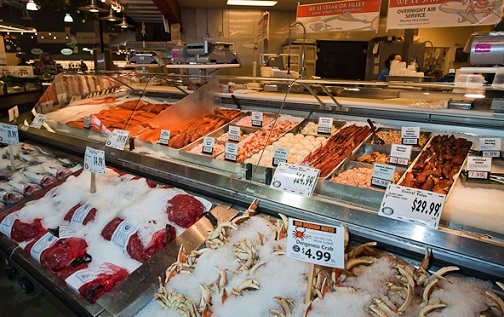 And as you can see from the display case, wild seafood is more than just salmon and halibut. And crab ... and so much more. 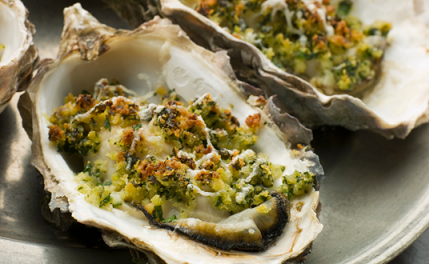 Serve yourself and your family seafood ...wild, so-called gourmet seafood, if possible. Enjoy your Quality Seafood and the company of those you share it with! Did you know? 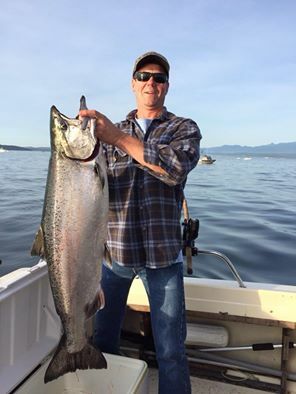 Chinook salmon (also called ‘King’ salmon) are the largest of all wild Pacific salmon. 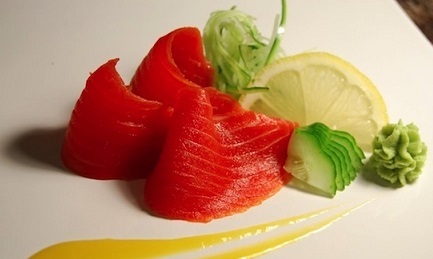 It has the thickest fat layer and the highest omega-3 fatty acids content of all salmon species.